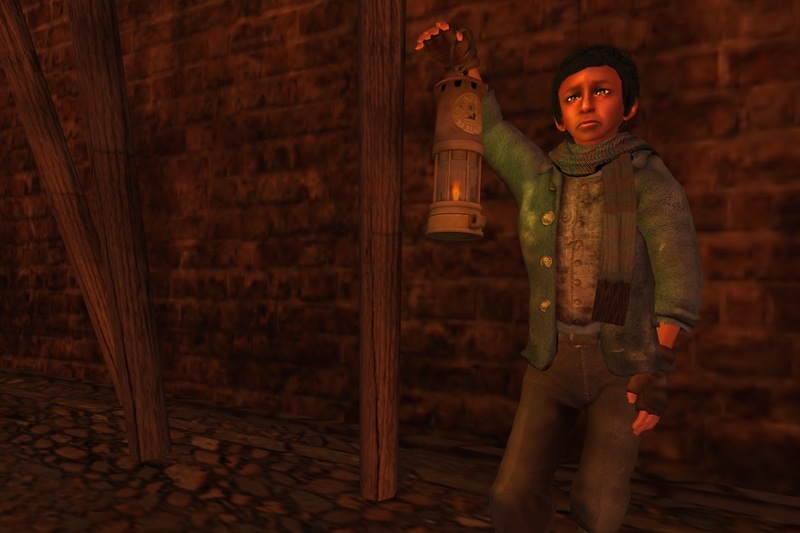 Isaac Little was a chimney sweep apprentice who worked for the cruel Mr. Grubber. It was a difficult and dangerous life sweeping chimneys, especially as Isaac was forced to crawl within the flues. It was his awful task to climb up the brickwork and loosen the soot with a brush by hand. Each evening Mr. Grubber would spend the day’s takings on drink at the local pub, leaving Isaac to clean the yard and pack the soot into sacks, for sale to farmers as a fertiliser for their fields. The only consolation that Isaac had for this miserable existence was an anonymous handwritten letter that he kept hidden away in his jacket pocket. Isaac couldn’t recall how he had found this note but he knew that it was his, for his name was included in full within the last sentence of the letter. The mysterious note promised Isaac that his life would improve and that he should trust its unknown author. One day, Isaac succumbed to temptation when he stole a cigar case from a rich customer’s home. In doing so, he discovered a tiny fragment of a tragic newspaper report, rolled up inside with the cigars. The discovery of this newspaper fragment would change Isaac’s life forever and lead him on a terrifying adventure that would end with a face-to-face meeting with the anonymous author of his treasured mysterious letter. Who wrote the prediction for Isaac’s life and how did the writer know what the future held for the wretched chimney sweep? What awful news was written upon the newspaper fragment and why was it hidden within a cigar case? In common with all stories from Maxwell Grantly, all is not what it might first appear to be. Now that spring has arrived in the Northern Hemisphere, many adults may be relaxing outside, in the company of a good book. With so many free children’s eBooks by Maxwell Grantly, now is the perfect time to encourage your children to relish the joys of reading too. If you’re looking for the perfect introductory eBook to whet your child’s appetite, you may want to take a look at “Albert’s Wiggly Tooth” – a zany illustrated children’s story that is free to download from both Kobo and iTunes. Do you believe in the tooth fairy? Not many children do. Even the thirty-two young boys and girls at the New Babbage orphanage knew that Mr. Bagshaw, the resident housemaster, really took their old teeth and left a silver sixpence under their pillows. Even still, a whole sixpence is such a lot of money: you can buy so many sweets with just the one coin. When Albert’s wiggly tooth fell out, he wondered what happened to it when he left it under his pillow. To his surprise, he discovered that Mr. Bagshaw was selling the children’s teeth to a local dentist, in order to build dentures for the elderly people in town. Discover the crazy antics of what happened in church the following Sunday morning, when Albert discovered the identity of the new owner of the children’s missing teeth. Like all stories from Maxwell Grantly, nothing ever goes to plan! Have you seen the new Sainsbury’s Christmas Advert this year? Mog sets off a chain of unfortunate events that almost ruin Christmas for the Thomas family. Can she pull it all back to save the day? This year, Sainsbury’s are working in partnership with HarperCollins Children’s Books and world renowned author/illustrator Judith Kerr to create a Christmas story based on her much loved character Mog. If you enjoyed the video clip, you can buy the beautifully illustrated book from Sainsbury’s. Every penny of the profit from sales of the book will be donated to Save the Children, improving child literacy in the UK. If you would like further inspiration for teaching children to read, you may also like to know that every story by Maxwell Grantly can be downloaded (completely free of charge) from both iBooks and Kobo. There is even a free special Christmas eBook planned for released in December – more news about that later this month. A Merry Christmas to you all. 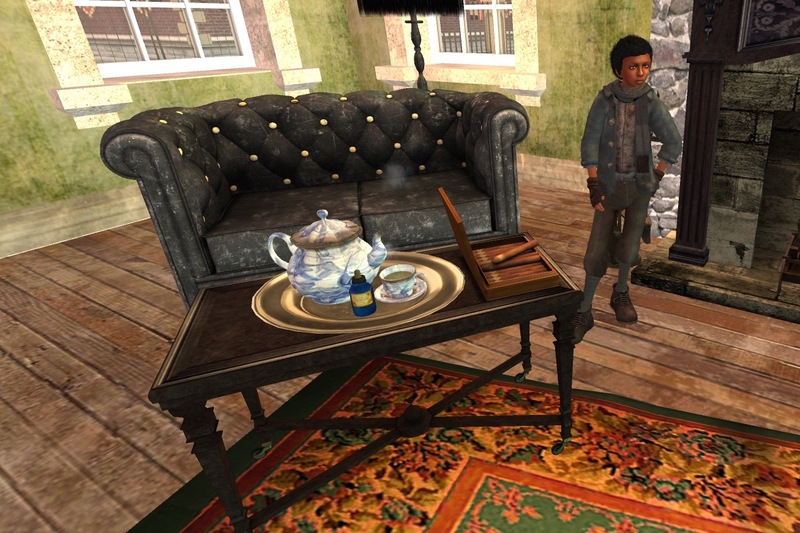 Maxwell Grantly is currently working on his latest eBook: an illustrated children’s steampunk story called “A Clean Sweep.” Isaac Little was a chimney sweep apprentice who worked for the cruel Mr. Grubber. The only consolation that Isaac had for this miserable existence was an anonymous handwritten letter that he kept hidden away in his jacket pocket. Isaac couldn’t recall how he had found this note but he knew that it was his, for his name was included in full within the last sentence of the letter. The mysterious note promised Isaac that his life would improve and that he should trust its unknown author. One day, Isaac succumbed to temptation when he stole a cigar case from a rich customer’s home. In doing so, he discovered a tiny fragment of a tragic newspaper report, rolled up inside with the cigars. The discovery of this newspaper fragment would change Isaac’s life forever and lead him on a terrifying adventure that would end with a face-to-face meeting with the anonymous author of his treasured mysterious letter. Who wrote the prediction for Isaac’s life and how did the writer know what the future held for the wretched chimney sweep? 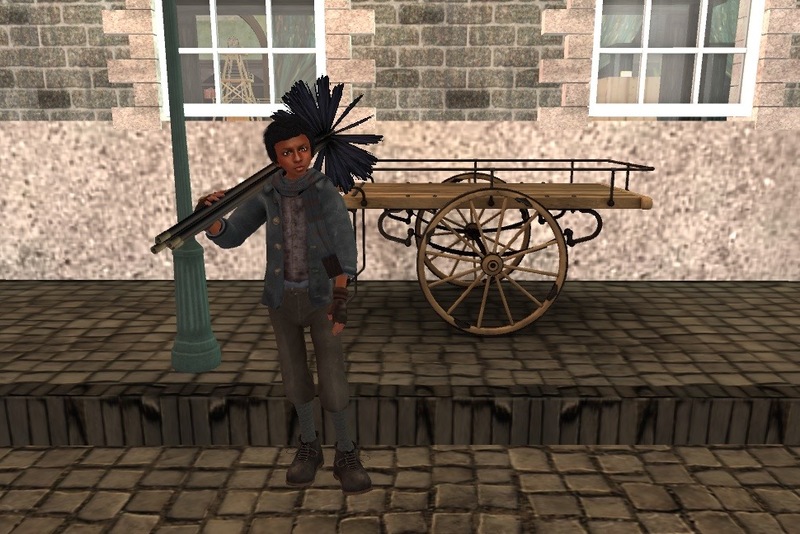 The eBook called “A Clean Sweep” is due out in the summer of 2015 and it is packed full of captivating computer generated imagery that will enchant younger readers.